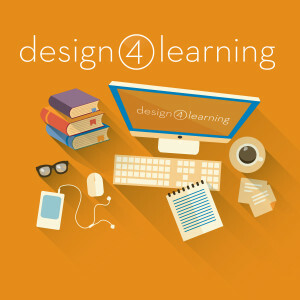 Participants who complete modules of the Design for Learning program will earn a Certificate of Completion for each module, issued jointly by WebJunction and the South Central Regional Library Council. Participants who complete all 7 modules will earn a total of 30 contact hours in continuing education credit in the state of New York, mainly recognized by public library systems. NY state public librarians are required to have 60 hours of continuing education credit every 5 years. That is intended to be spread over the 5 years in several different activities, so our program does not exceed half of that, at 30 hours. The Certificate recipients are encouraged to download a packet of documentation about the program. The packet includes a summary of the program, the outline of credit given in NY state, the syllabi for all 7 modules, and brief bios of all instructors. The information in the packet can be shared with your supervisor and/or the office in your area that issues continuing education credit. Several other states also expressed the concern that counting all 7 modules of this program for too many hours would mean that participants wouldn’t participate in other professional development activities, which influenced our decision to cap the program at 30 contact hours. While each module helps to prepare a piece of the capstone project, the leadership team recognizes that the work to complete the final capstone project will be significant, and has weighted the credit for that project accordingly, at 8 contact hours. We are issuing credit for each module individually. The benefit of that is that some states have a menu system for credit, in which they have to show some work with technology, some with diversity, etc., and each module can be plugged into that system. Many students are putting in much more time than this, but some really are doing the bare minimum, and as this is basically a pass/fail situation, it seems like we can only count contact hours based on the minimum. It’s more like an academic model, where the contact hours are only about 1/4 of the time a good student will really put in with reading and homework. For participants who are invested in developing online instruction for their communities, we believe that the instructional module they create for their capstone project will be its own reward. *Please note – the amount of credit is slightly different for those who went through the program initially, as part of Cohorts 1 or 2. For those groups, please see the information in this packet of documentation instead.